Yeah, that’s two hotel bars, in two hotels at once. And though this isn’t strange really, the reason for it is so… So. Bizarre. Alright, this was supposed to be one single review of the Malt Whisky Library bar of the Grange Blooms Hotel which has gathered a bit of attention after winning one of the “Top 10 London Library Bars” in Unnamed Popular Online Magazine (I had not heard of this bar before, which was strange, but probably explains my experience there). But circumstances which will be explained have made it a double review situation. 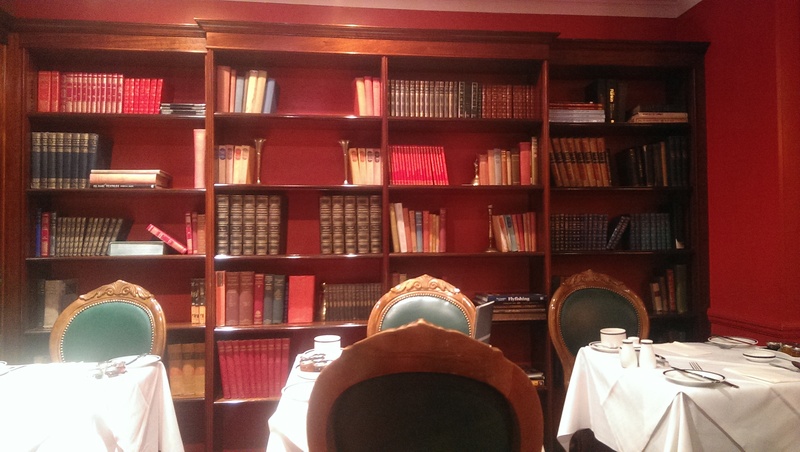 With the intention of getting some research done, the Hoodooist gathered his books to get to a library bar – regular libraries are too tedious, and a bit of whisky never hurt to study with, so the Malt Whisky Library sounded like a good idea to check out. 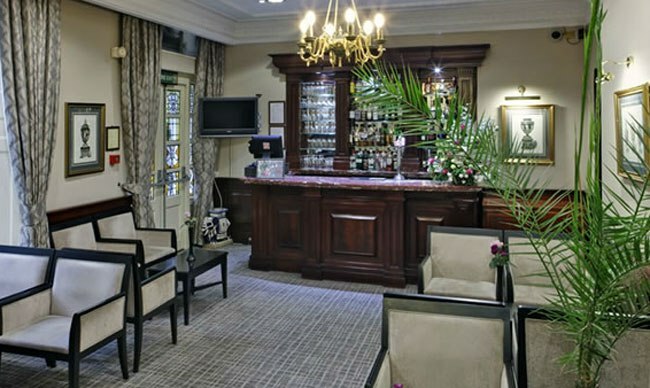 Once I got there though, an employee ‘escorted’ (read: dragged) me out of the bar, out of the Grange Blooms Hotel, to the bar in their sister hotel next door, the Elgin Lounge at the Grange White Hall Hotel. Well, that’s interesting, for a winning library bar. Overhearing our conversation, a Fellow Who Seemed In Charge said he would check to see what happened and would get back to me in a moment. Save the tidy hardwood bar and the sketches of ancient Greek wine krater, the furniture of the Elgin is rather repulsive. The choice of spirits is minimal, and entirely from an off-license – not saying it’s impossible to get a decent spirit at one, but the limited spirit count was disappointing. And other than Fellow In Charge, employees were not fluent in English, which made conversation a bit complicated. Not to mention, people seemed adamant to not allow me into the Malt Whisky Library like some kind of unfinished Kafka novella. Fellow In Charge returns, after a bit of protest, and introduces himself as Jacek, the only person who seems to care at all about the customer. He still attempted to dissuade me from going to Malt Whisky Library by explaining the choice of spirits wasn’t much better. 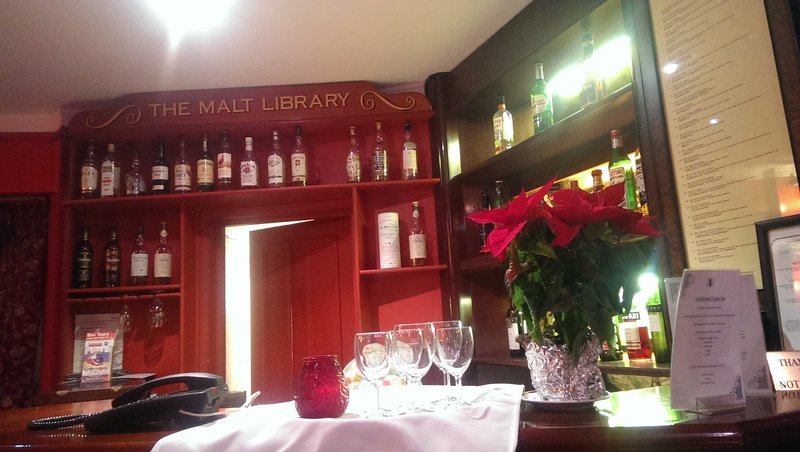 Either way, politeness and a slightly unsettling smile can get you far in life and I found myself at the Malt Whisky Library at the Grange Blooms Hotel again. Ideal for: Neat spirits, Whisky, feeling kinda vindicated. Okay, this isn’t a library. It’s a room with a single bookshelf. As for the Whisky Library, there wasn’t much. Most are over the off-license counter, with only a few that stood out. I was told that the place ‘had not been used in a while’. That it was ‘under renovation some time back’ (there was no sign of renovation). And that ‘it is only used for events’. Amounting to about 6 or 7 reasons nobody wanted visitors to this strange little space. Jacek, though the only individual here who seemed to want to satisfy a customer, makes an odd remark about his wife calling him since he ‘should’ve finished work an hour ago’. If that was a remark about me slowing him down, well, where are the other employees to take his place? The place is utterly vacant. 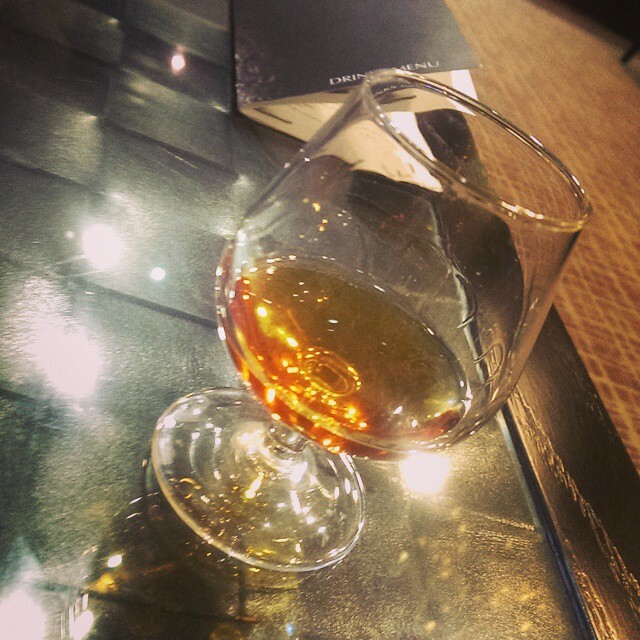 My first choice of 26 year whisky had pieces of cork in the spirit, so was kept aside. My second choice’s cork broke off when attempting to open it. So we settled for a single grain Highland Invergordon. Again, not a special whisky, but a decent one nonetheless, especially considering a double amounted to about 4 pounds. Having gotten my whisky and armchair, and the quiet space, I grab my book and get to work. And then the screaming started. Employees in the kitchen (there is only a door between them and myself) launch into an argument. They must really be used to being alone down here. The swearing turns out to be a bit hilarious, but I actually do get some work done. The argument ends as one of the participants stomps out and catches sight of me, and freezes in disbelief. It’s like no one in this building had seen humans before. Remember ‘The Others’? Yeah. The Hoodooist pays. He leaves. UPDATE: A quick Google shows that the Grange Blooms is supposedly haunted. Whether or not this is associated with the above is beyond me. Service: Does funny background swearing count? This entry was posted in Bars & Cocktails and tagged Hotel, Library, Neat Spirits, Tiny, Whisky.